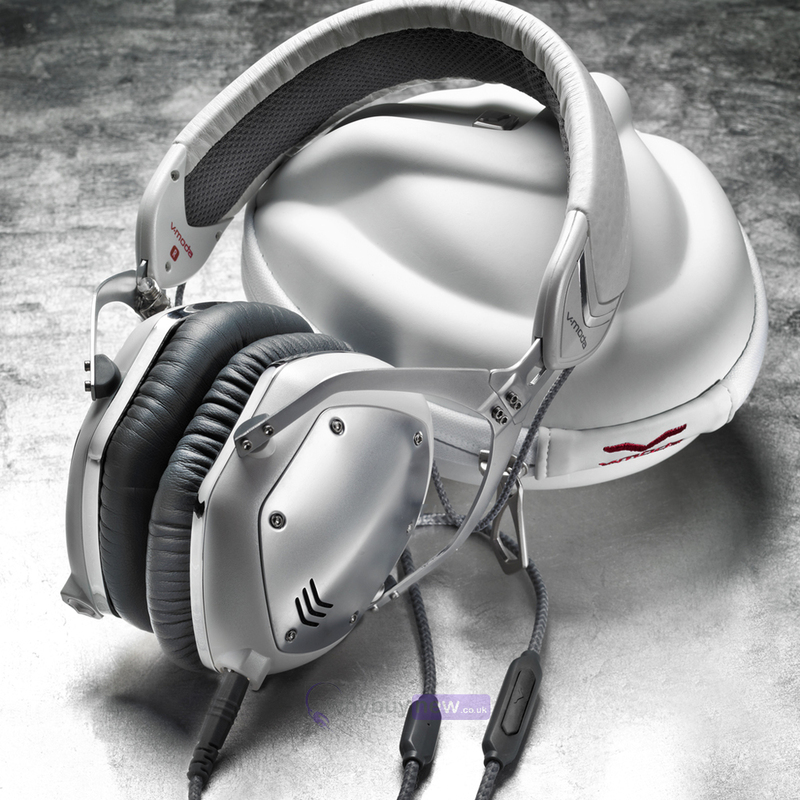 These award-winning V-Moda Crossfade M-100 headphones in White Silver are the world's first crowdsourced, metal and noise-isolating headphone. Made from a combination of steel and new vegan leather these over-ear headphones feature military-grade durabilty and are built to last. The M-100's memory foam ear cushions naturally isolate noise and provide supple ergonomic comfort for extended listening sessions. The cushions and SteelFlex headband naturally form to your head and ears to create the perfect natural noise isolation, optimal bass and an immersive 3D soundstage. The compact M-100 adds unparalleled versatility and functionality to the best-in-class Crossfade series. Dual inputs allow the headphones to act as a virtual on-the-go mixer, and patent-pending V-CORK seals allow the discerning listener to perfectly balance the audio. An optional Boom Pro microphone instantly transforms the M-100 into the ideal headset for gamers, podcasters and broadcast professionals. The optional Coil Pro cable with locking mechanism allows extended freedom with an instrument of choice on stage, at home or in the DJ booth. 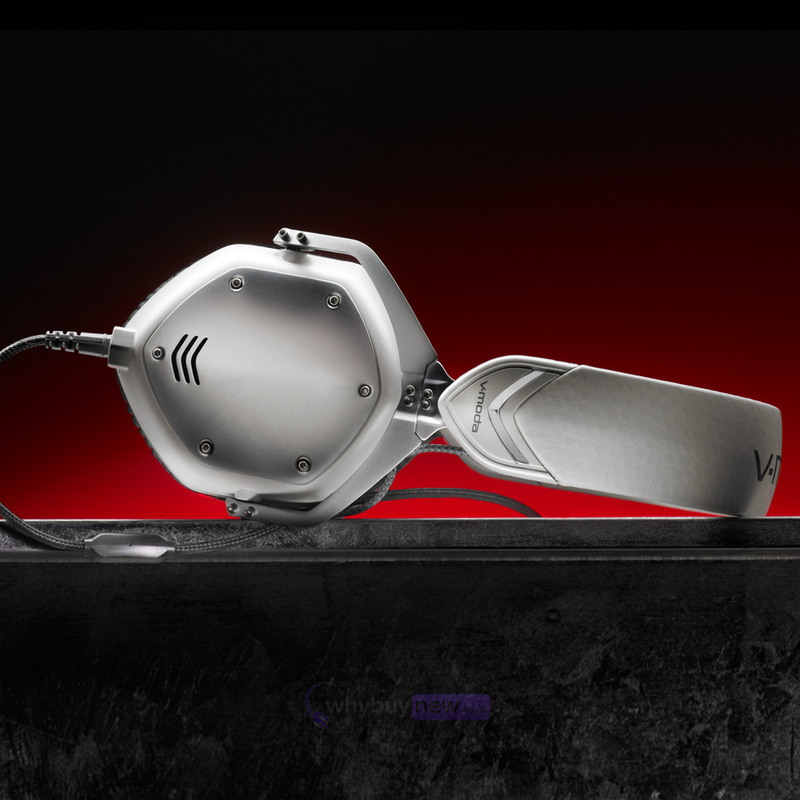 Road warriors will revel in novel compact features including the vault-like CLIQFOLD hinge mechanism that uniquely folds the M-100 into V-MODA's famous exoskeleton carrying case. The M-100 includes two detachable Kevlar-reinforced cables, a remastered SpeakEasy microphone cable and an all-new SharePlay cable allowing multiple users to share music and media without extra adapters. 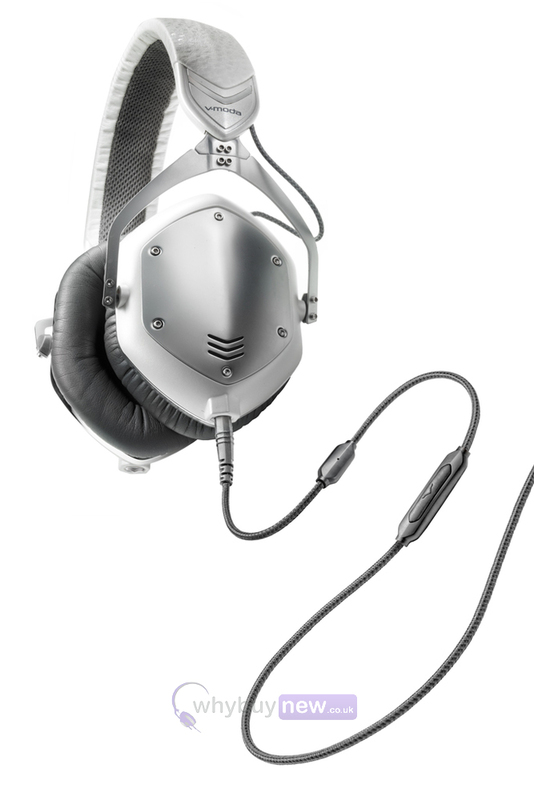 V-MODA continues to allow users to 'endorse themselves' by customizing their headphones with V-MODA's unique custom shield and laser engraving service that allows users to interchange the metal shields with an array of colours, logos and even their own design. 3D Printed or Laser customization of the shields is available at V-MODA.com. 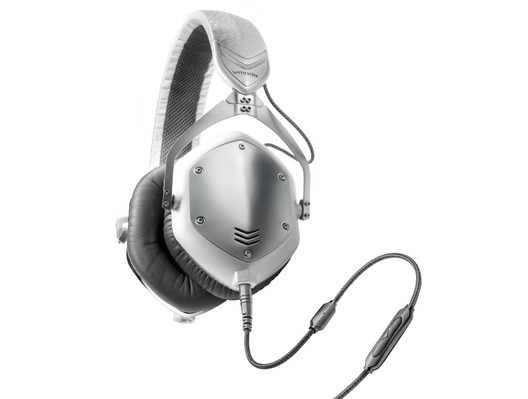 Here we have the V-Moda Crossfade M-100 White Silver in brand new condition and in B-Stock. The B-Stock versions would have been on display at a training evening or trade exhibition only and will come boxed in very good cosmetic condition with the carry case and a 1-year warranty. 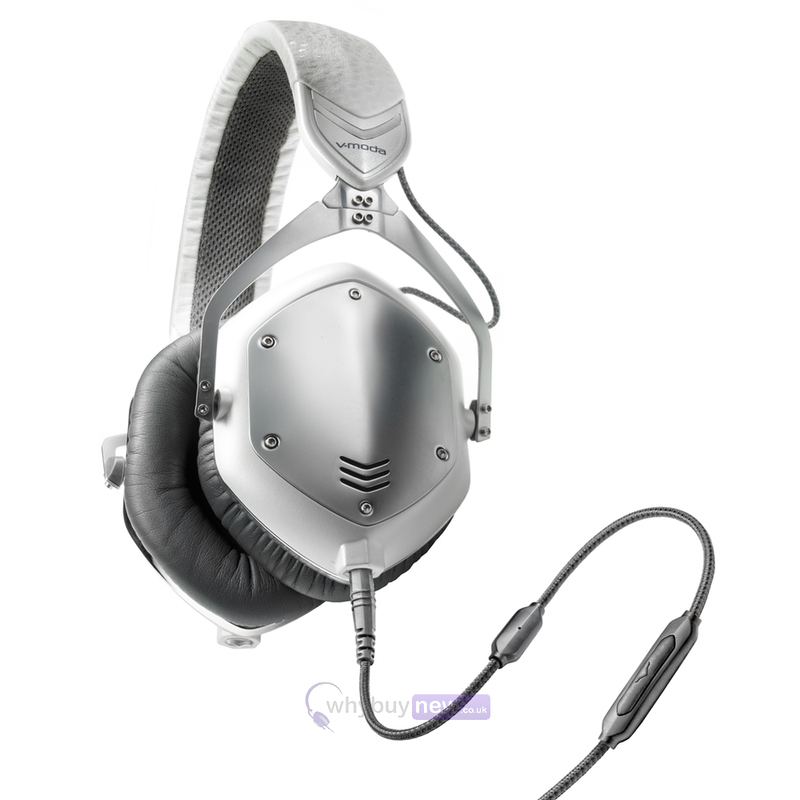 This B-Stock V-Moda Crossfade M-100 White Silver does not include original packaging but has been professionally packaged to ensure safe delivery to your door.